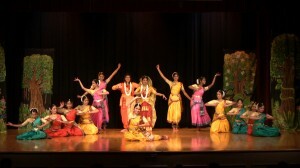 « Nritya Sangam : confluence of four classical Indian dance forms. Sri Venkateswara Temple auditorium was packed on Saturday, November 26 last fall to celebrate Rabindranath Tagore’s 150th Birthday Anniversary. 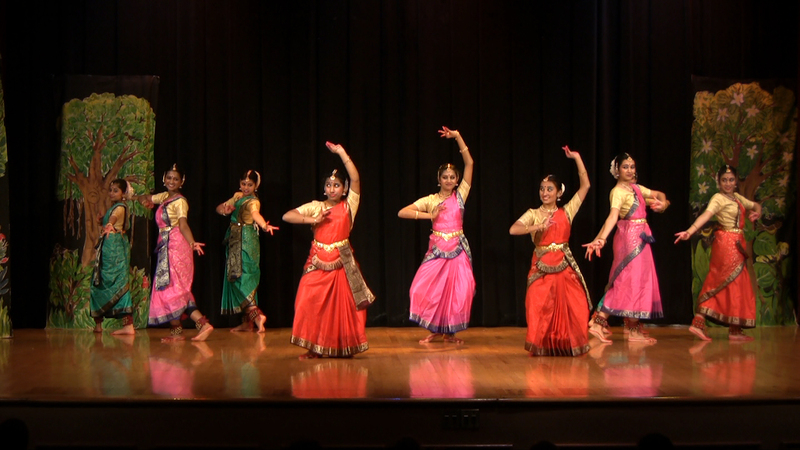 Pittsburgh Indians paid tribute to their great poet through Tagore’s poems, songs, and his dance-drama Chitrangada by the students of Nandini Mandal’s Nandanik Dance Academy. The first part was presented with a garland of three poems and three songs, each accompanied by dances expressing the sentiments of Puja (Devotion), Prakriti (Season/Nature), and Prem (Love) – three themes of Tagore’s forte. The poetry recitations, by Sujatha Sundar (in Tamil translation), Maneesha Cleetus (in Hindi translation), Nidrita Mitra-Sinha in Bengali original, and Nandini Mandal in English translation, brought out the true emotions of each poem. The choreography for the dance was excellent and the supporting dances performed by Poorwa Godbole, Mohini Walavalkar, Roosha Mandal and other younger adults went well to set the mood for the next part. 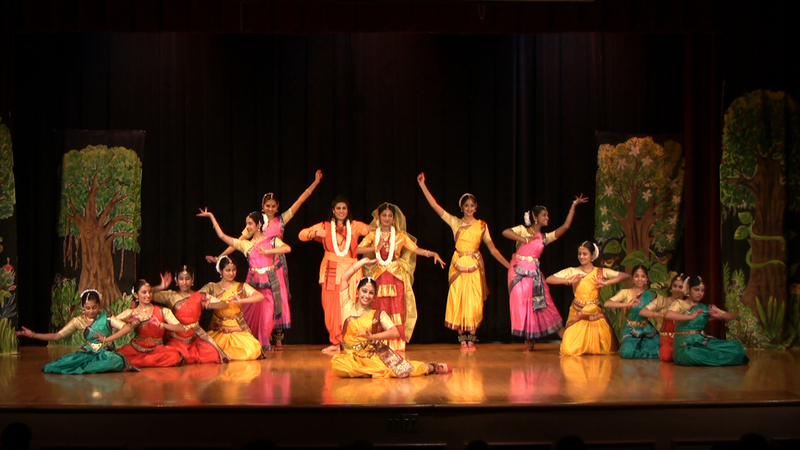 In the second part, Tagore’s dance drama Chitrangada was presented. Tagore wrote Chitrangada in 1892 when he was barely 32. But the storyline is as compelling today as it was then. The story of Chitrangada is a small episode in the ageless Hindu epic Mahabharata. The story in its original form is distinctly macho and reads like another conquest of Arjuna. But Tagore took the story, gave it a feminine twist, and transformed it into a modern musical. Tagore retold the story with a remarkable fusion of oriental and occidental ideas on the femininity with a vision that sensual love may begin its bloom as an entrapment created by our sensory perception of external beauty and youth. But after the initial bursts are over, love is freed from that illusion into the greatness of austere truth that a love which never learns to go beyond the physical appearance knows no real fulfillment, no peace, and is, therefore, unreal. Chitrangada’s feminist undertones, subtle emotions, messages, and Tagore’s own poetic sweep over the original story demanded only the best out of the performers. And the members of the Nandanik Dance Academy did deliver. The participants gave their best in bringing this masterpiece to life. 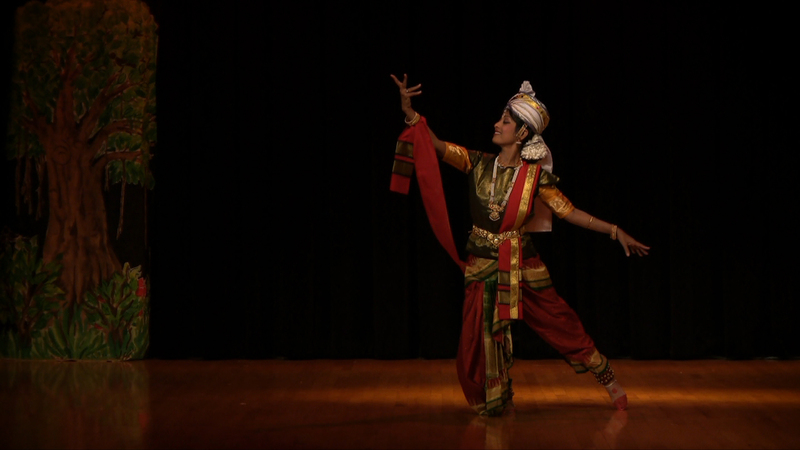 Nandini Mandal as the director, choreographer, costume designer, and prima ballerina was simply outstanding. It was a moving experience to observe how warrior princess Chitrangada (Nandini) and her alluring incarnation (Mohini) put their heart and soul to bring out the agonies and ecstasies of love in each act. Their every move, facial expression and body sway fluidly poured out the emotions embedded in the story. The songs recorded in India under the direction of Late Roma Mondal, and narrations by Pittsburgh’s own Brita Chakrabarti were commendable. The dancers brought out the real emotions with every musical note. The dances presented in Manipuri, Kuchipudi, Bharatnatyam, and Kathakali styles with tastily done costumes, simply added to the grandeur and elegance to the play. The colorful costumes uniquely blended with the mood of the songs and with each act. This entry was posted on April 7, 2012, 9:27 pm and is filed under April 2012. You can follow any responses to this entry through RSS 2.0. You can leave a response, or trackback from your own site.